Whether you bringing a new rescue to your home, fostering or dog sitting the first inclination of 90% of new dog care takers is to bring their new friend to the closest dog park they can find. While this good intentioned, kind hearted act is one based in love, we can’t stress how important it is to enter in this environment well educated. The first visit to a dog park can be a bit formidable for both owner and pet. How will your dog react? Will the other dogs attack? Is your dog going to start a riot? These are all important questions to ask and consider before visiting a dog park, especially if it allows for off-leash frolicking and play. There are however a few tricks to mastering the dog park on your first trip and subsequent. Just follow these 6 dog park navigation secrets for a relaxed and fun-filled adventure with your furry friend. Have the usual accessories such as a collar and leash. Also, remember a bowl and water because serious play can result in a severe thirst. Do NOT take any treats or food along too as this can spark a rampage. Also, leave toys and balls behind. Any other training tools that you have used in the past should also be taken with and used in the dog park so that your dog can quickly learn what is acceptable behavior and what is not. 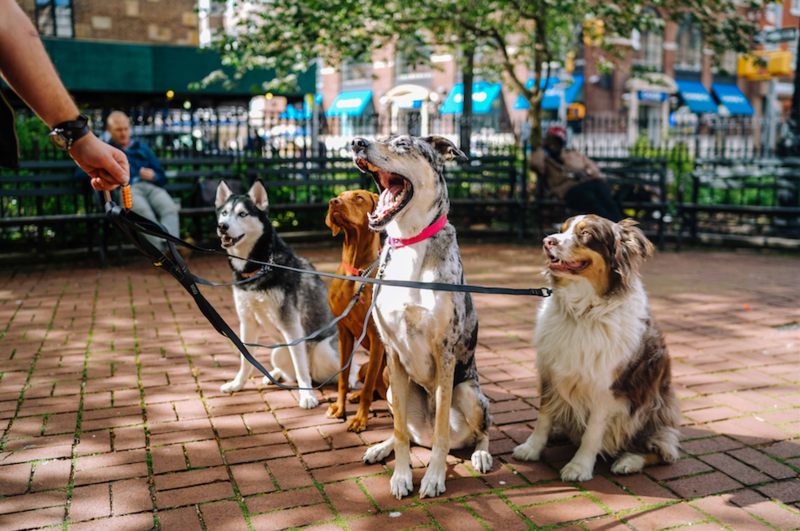 One of the best dog park navigation secrets is to ensure that your dog has had some socialization with other dogs and humans before introducing him or her to the doggy park. In other words, he knows how to greet both humans and dogs without being over-friendly, aggressive or shy. Your dog should also be able to follow basic commands such as coming to you when you call and stopping an unwanted dog park behavior when told. A few sessions with a professional trainer should have him dog park ready in no time. Keep your dog on a leash and wait until he is calm before entering the dog park. Another one of the most important dog park navigation secrets is to remove the leash before entering the park to prevent unwanted leash aggression or your dog running off with his leash trailing wildly behind. Replace his leash and ensure he is calm before leaving the park. Always wait for other dog owners and their pets to leave the entrance before taking your dog through the gate. This is common etiquette as most problems between dogs are created at the entry or exit point when they are forced into close quarters by owners trying to get through a gate at the same time. It is also good etiquette to keep your dog away from the entrance to allow other visitors to enter and exit without having to be concerned about letting your dog out. A visit to the dog park is not just a time for your dog to release pent-up energy but is also ideal for you and your pet to interact and tighten that bond. Keep in mind that dogs all have different personalities. A shy or skittish dog may need your support and encouragement and prefer to stay by your side while navigating the dog park. Boisterous dogs may need noassistance but will need close supervision to prevent them from becoming over-friendly and entering into unwanted rough play. A good rule to follow is to stay close to your dog and keep a watchful eye rather than sitting down and focusing on your phone or something other than your dog. Also, watch other dogs and their behaviors. Step in if another dog seems to be acting in a manner that could be predisposed to a fight developing. Read up on different dog behaviors that could be indicative of aggression and look out for the signs in both your and other dogs. Remember unneutered male dogs have a high chance of being bullied or attacked! It really should go without saying that you should clean up after your dog and yet it is surprising how many dog owners simply do not do this when they are at the dog park. Stepping in a dog mess is unpleasant for you, but it is even worse when you need to clean your dog before you can take him home. So take along a couple of poop baggies (if the park doesn’t provide them) and a scoop if necessary to take care of your own dog mess so as not inconvenience yourself or any other visitors to the park. Dispose of the mess in an allocated bin. If your dog is unwell or injured, don’t take him to the park as the illness may be transmittable and if he is in pain, he could snap or become aggressive. Also, ensure that your dog is up-to-date with all vaccinations and isn’t suffering from any hot spots. It is also highly recommended to only take a sterilized pet (spayed or neutered) and never take a female that is in heat. Allow enough time for your dog to play and enjoy the park. 10 or 15 minutes isn’t sufficient and may leave your dog frustrated and unwilling to leave. At the same time, watch for exhaustion or overheating and leave when your dog is tired or had enough. If you’d like to be considered for a guest post please email your pitch to cynthia@newyorkdognanny.com.